Many dog owners love the quality time they get to spend with their dog when they take them for a walk. However, sometimes life can get in the way and you can’t walk your dog that day. 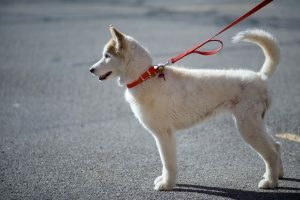 Your dog shouldn’t have to miss their daily walk, and to prevent that, you can hire professional dog walking services. Some people are hesitant to hire a dog walker, but many don’t stay open minded enough to stop and reconsider the benefits they’ll receive by hiring a professional dog walking service! Dog walkers come in handy when you’re running late from work, when you go out of town, and if your dog gets stressed when you leave for work. They will make sure that your dog is getting the exercise they need when you are unable to do it yourself. Reach out to a professional dog walking company to get more information and to schedule your dog’s first walk with a trained professional. No matter how badly you want to stick to a routine, the truth is some days you just can’t. You get caught up at work or you have to run some errands, and as a result you are unable to get home to walk your dog. This happens to everybody, which is why it is highly advised that you hire dog walking services. You may worry that having a dog walker will prevent you from spending quality time with your dog, but dog walkers are often quite flexible and are able to customize a schedule that works for you. 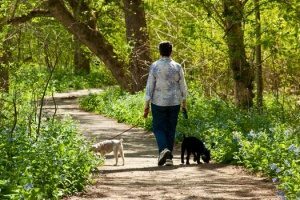 Maybe you’ve noticed yourself getting busier and it getting harder to find the time to walk your dog. Your dog shouldn’t have to suffer as a result, and you shouldn’t have to add more stress to yourself with your already busy schedule by constantly worrying about walking your dog. Expert dog walking services will be able to work with you to create a customized and flexible schedule that works for both you and your dog! This will ease your mind and allow you to get all the things done you need to, while also ensuring that your dog is getting a good amount of exercise. Not to mention, you may have a job that keeps you away from home for long hours during the day. A dog walker will make sure that your dog is getting a potty break during the day and if necessary, being fed. Going out of town becomes a whole lot more complicated when you have a pet involved. Often times, your dog walking service will also offer pet sitting services. This has a tremendous amount of benefits. Firstly, your dog doesn’t have to stay in a kennel or be in an unfamiliar environment. This can be very stressful for some dogs, which in turn will stress you out while your away. Having your dog walker pet sit will allow your dog the comfort of staying at home. Secondly, your dog will have already formed a relationship with their walker so you won’t have to worry about how they will act around a stranger. Going out of town shouldn’t have to be stressful for you because you have to worry about your dog, you should be able to enjoy it knowing that your dog is well taken care of. Hiring a dog walking service can offer many benefits in regards to training your dog. People don’t realize that a lot of the times when they have problems with training their dogs it’s because their dog simply has too much energy. Walks are an excellent way to exert that energy in a healthy way so that your dog isn’t running amuck in your house. Dog walkers are also able to help with training your dog in terms of walking them. They can make sure you’re walking your dog, and that your dogs not walking you. They may even be able to offer you other training advice that could help your dog’s behavior in general. It’s crucial that your dog is getting the proper amount of exercise. Dogs should be walked everyday, but if you’re not enthusiastic about it or your schedule routinely prevents you from walking your dog , you should acquire assistance from a dog walker. Just like humans, dogs need exercise to keep them happy and healthy. They also naturally enjoy walking! Having dog walking services will ensure that your dog is getting their necessary exercise everyday. Professional dog walkers do more than just let your dog outside to go to the bathroom, they also make sure your dog gets enough exercise to tire them out. As previously mentioned, walks should serve a greater purpose than just allowing your dog to go to the bathroom. As a result, this means walks require a bigger time commitment each day. Even if you schedule happens to allow these walks, you may find that spending you time doing other things can be more productive. A dog walker can give you this added time to get other more important things done. 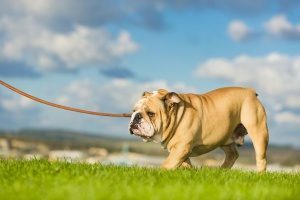 Not every dog owner has ample amounts of free time to walk their dog, and that’s perfectly okay as long as a dog walking service is being utilized. Many dogs have serious anxiety and stress while you’re away. This can result in them being unhappy, constantly barking while your gone, or having other negative effects. Firstly, having a dog walker come will be able to ease some of this anxiety by distracting them with the walk. Secondly, the dog will become to be familiar with the dog walker which will allow them to look forward to their walker coming in your absence. Depending on what your dog walking services offer, you may even be able to have your dog walker come over for a period of time while your gone to give your dog the attention it deserves. For more information, reach out to a professional dog walking company and to schedule your dog walking services.